Home » Allies » Ally versus Advocate: What’s the difference? 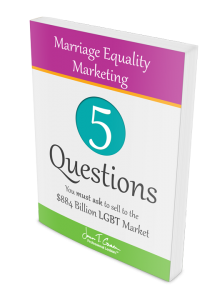 In this post I would like to talk about the differences between an ally to the lesbian, gay, bisexual and transgender (LGBT) community and an advocate for the LGBT community. It hadn’t occurred to me that some may confuse the two until recently. I had a conversation recently and in it I referred to the person I was talking to as an ally to the LGBT community. She was a little weird in my calling her that. She didn’t want to go on the record as my quoting her as such. I figured she was just erring on the side of caution because of her employer and moved on. Then shortly after that encounter I was Tweeting with someone and we were talking about him being an ally to the LGBT community. I said something to the effect of ‘it’s great to have allies like you helping to support the LGBT cause.‘ And he was almost confused by the word ally so I explained that an ally is someone who is supportive of the community. He got it and agreed wholeheartedly. As I was interviewing an ally for the ‘30 Days – 30 Voices – Stories from America’s LGBT Business Leaders’ podcast project, she was the one who brought it to my attention that perhaps they were confusing ally with advocate. Thank you Bree – for those insights! is a heterosexual person who supports equal civil rights, gender equality, LGBT social movements, and challenges homophobia and transphobia. A straight ally believes that LGBT people face discrimination and thus are socially and economically disadvantaged. They aim to use their position as heterosexual and/or cisgender individuals in a society focused on heteronormativity to fight homophobia and transphobia. 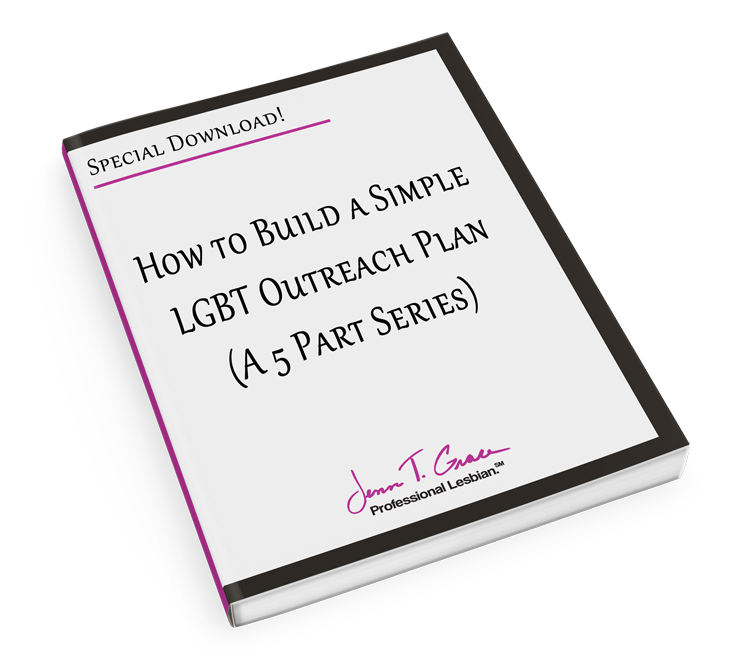 Most LGBT organizations have straight members involved; others actively encourage straight participation. A Gay-straight alliance is a student-run club that brings together LGBT and straight students to create a platform for activism to fight homophobia and transphobia.  There are also some groups that unite the LGBT community to work together with straight allies. Full definition can be found here. is a political process by an individual or group which aims to influence public-policy and resource allocation decisions within political, economic, and social systems and institutions. Advocacy can include many activities that a person or organization undertakes including media campaigns, public speaking, commissioning and publishing research or polls or the filing of an amicus brief. Lobbying (often by lobby groups) is a form of advocacy where a direct approach is made to legislators on an issue which plays a significant role in modern politics. Research is beginning to explore how advocacy groups use social media to facilitate civic engagement and collective action. Full definition can be found here. So in the two definitions above you can see that there is a difference between an ally and an advocate. Please note – the definitions of both ally and advocate go far beyond what Wikipedia provides; these definitions were used for simplicity purposes. I would sum up an ally as a person who is supportive of the LGBT community. 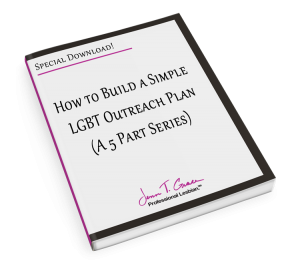 Someone who has friends, family, colleagues or even acquaintances who are part of the LGBT community and thus has a vested interest in supporting the community in any way that they can. I would sum up an advocate for the LGBT community as something stronger than that. An advocate is someone who is taking action politically by lobbying or signing on to an amicus brief that is in support of the LGBT community. To me it’s the next step after being an ally. Someone who is taking a strong action and taking a stand for LGBT equality. For example, I consider myself an advocate for the community. 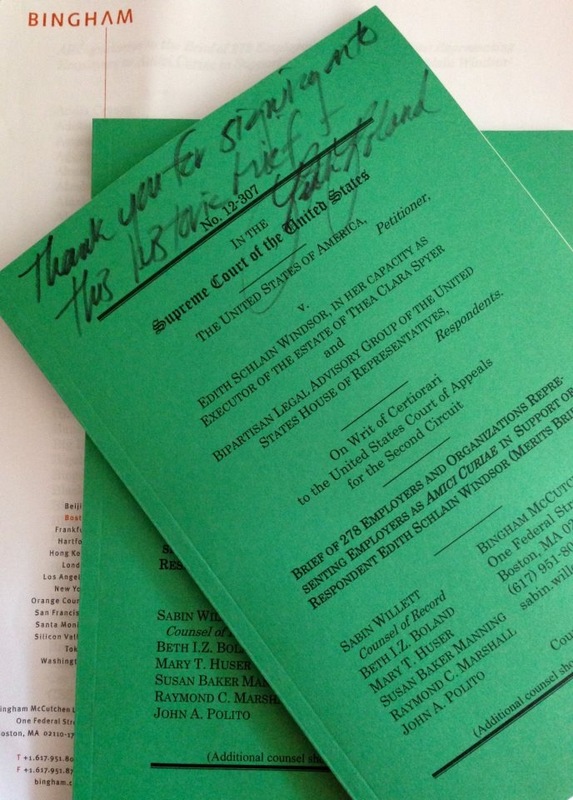 I have lobbied at the state capitol and signed on the employer amicus brief in Windsor v. United States, as one of the 278 employers who support the repeal of DOMA (my signed copy of the brief shown to the right). To me that is the work of someone who would call themselves an advocate. So regardless of whether you consider yourself an ally or an advocate, be proud that you stand up in what you believe in. If someone calls you an ally to the community, be proud of that. 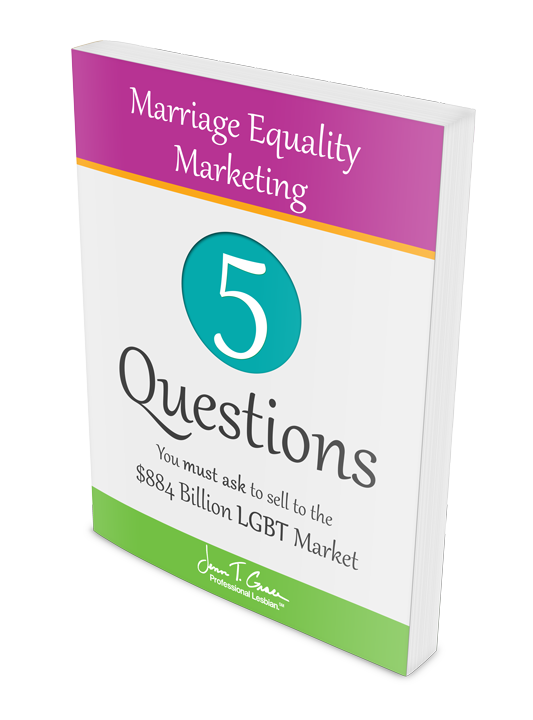 Trying to do business with the LGBT community requires you to be active and engaged, if someone considers you an ally – that is something to take pride in – and will hopefully lead you to future business development. Do you consider yourself an ally or advocate? Tell me in the comments below. 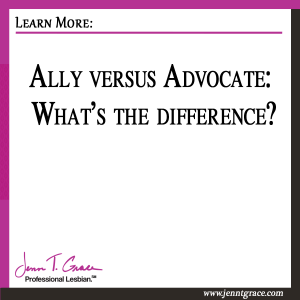 Or do you have a different definition of an ally and advocate? If so I’d love to hear it! 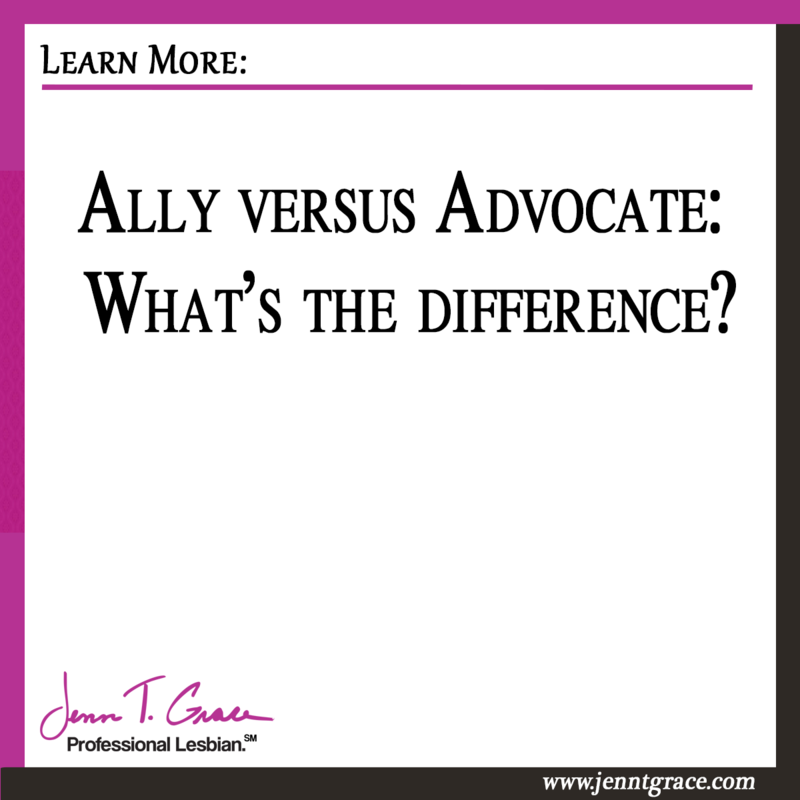 8 Responses to Ally versus Advocate: What’s the difference? I just stumbled upon this page while trying to figure out how to write in a cover letter that I am an LGBTQ advocate. While I have never lobbied, I work in healthcare and I feel I have been an advocate in another way: for instance, I had an undocumented patient from Mexico and his partner who never told anyone they were gay. I talked to them and they admitted they were partnered, so I was able to get the ball rolling and within an hour the partner was made the medical decision maker for the critically ill patient. It turned out to be a huge deal because no one had ever been able to get them to actually say they were in a partnership of any kind. My friend says I should say that I am an ally of the LGBTQ community and an advocate for my queer and trans patients. What are your thoughts? Thanks again for reaching out, Erin!